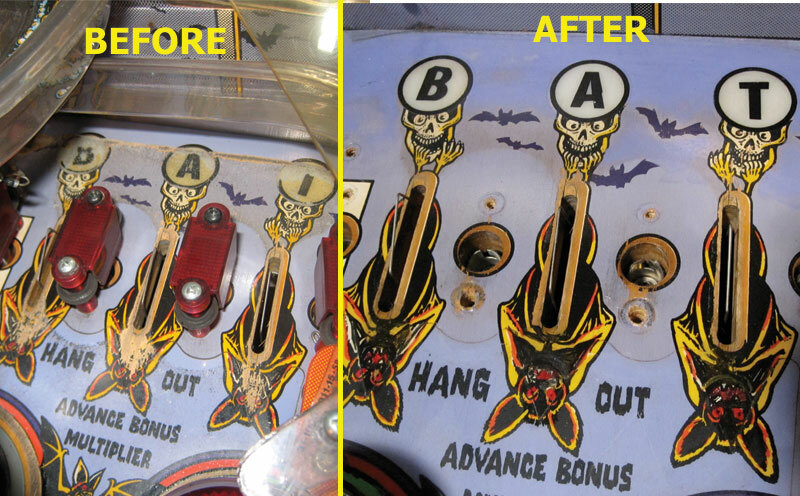 If you’re considering restoring an Elvira pinball machine, please read over the following tips I have listed. Included below are the little things I found out through trial and error…I hope they help you. The color chart along for paints is well worth your attention! 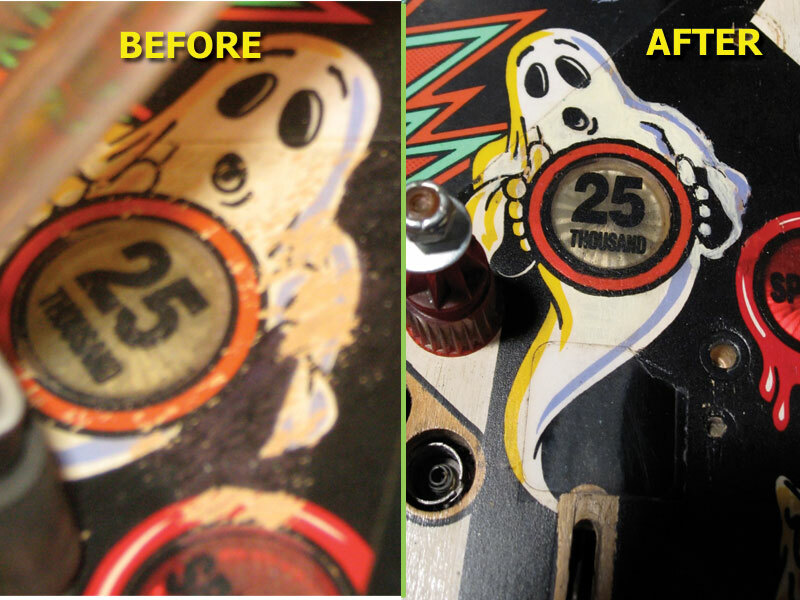 First, here are some before and after photos for the machine. The playfield was not near as bad as some plafields, but it certainly wasn’t great. 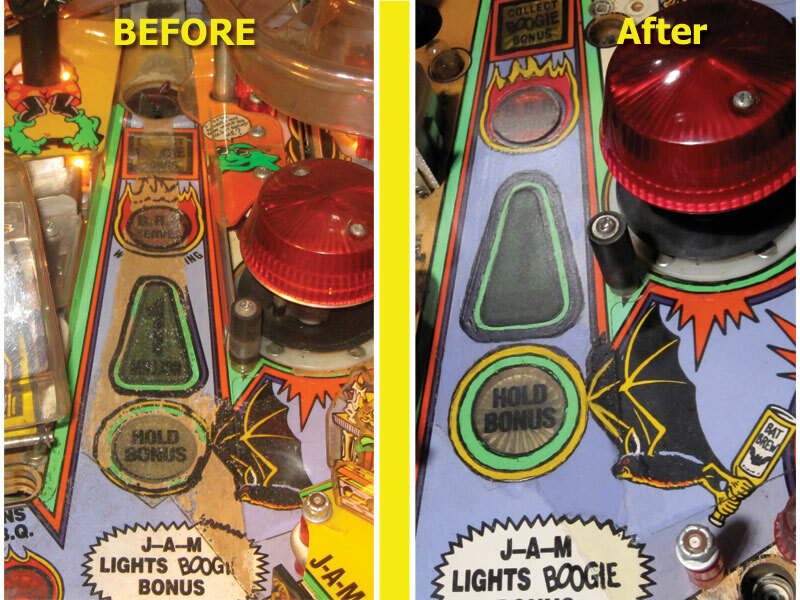 A littl bit of playfield stripping, painting and sealing worked wonders.